I missed out on Riot Grrl in the 90s, this book is set in 1994, I was 8, loved Beauty & the Beast and had a Flower Fairy themed birthday party. I only read started listening to some of the music later on, and it’s a movement that I would have loved to belong to like Tabitha, the protagonist of Carrie Pack’s new book. Being a teenage girl is hard, and Tabitha is doing a lot of learning, about who she is and where she fits in. There’s also crushes, first love and plenty of moshing. And as someone who struggled with her weight and self confidence as a teenager, I found Tabitha’s journey to body acceptance (she’s fat) just as important and positive as the rest of the themes in the book. 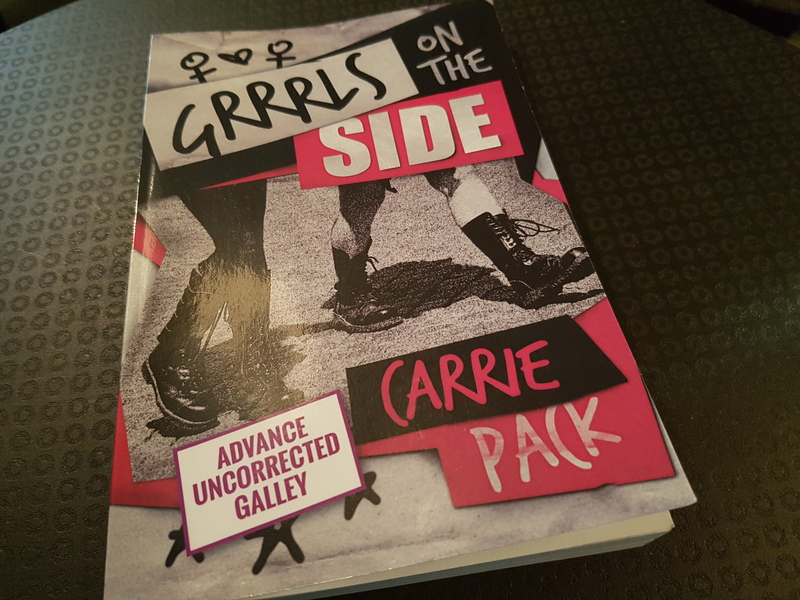 Grrrls to the Side is a great coming of age story full of self acceptance, punk, zines, hair dye and feminism. Definitely one for any former Riot Grrls and their little sisters. The book is out on the 8th of June, so pre-order yours now.